Following the success of last year’s show, Fordingbridge, the leading specialist design and build contractors of inspiring canopy, walkway and building solutions, will be returning to Glee to demonstrate the benefits of its robust and hardwearing designs to suit a wide range of garden retail environments. With a fresh, newly located stand in Hall 19 (19S38-T37), visitors to the show will be able to witness first-hand Fordingbridge’s Hybrid structure – a canopy with the wow-factor recently installed at Bybrook Barn Garden Centre. 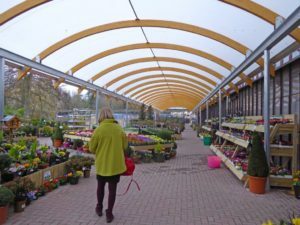 Built to Bybrook’s specifications, Fordingbridge created not only a functional, but also attractive, outdoor space to display their bedding and young plants. The canopy will also showcase Opal60 fabric which has been exclusively created for Fordingbridge. The unique Opal60 finish is waterproof, fire resistant and allows for 60% light transmission, which prevents discoloration of products merchandised underneath, as well as stretching and spindly plant growth. A special Glee promotion will be available, making it even easier for retailers to take advantage of Fordingbridge’s expertise. Managing director Stephen Toone and his team of technical sales managers will be present at the show over all three days to talk through future designs, plans, solutions, and to answer any other queries that visitors may have on how to effectively and economically increase the areas of stores. 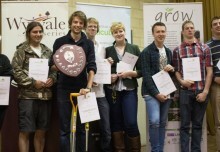 Recent Fordingbridge successes have included Almondsbury Garden Centre, who improved their outdoor sales space with the addition of a large, 102 linear metre walkway, as well as Hillier’s Bosham store – the seventh Fordingbridge commission by the Hillier Garden Centre team, and the project that helped Fordingbridge win the coveted Hillier Contractor of the Year award. This unique design utilised glulaminated timber framing and Opal60 to create an additional external sales area to extend revenue streams. Fordingbridge managing director Stephen Toone said: “Visitors to Glee are encouraged to visit our stand and learn how Fordingbridge’s solutions can add value to their garden centre, whether it be driving year-round sales in all weather conditions, improving store layout by adapting and increasing floor space, or simply looking at solutions that help to enhance the shopper experience. 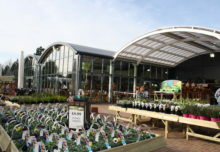 With over 50 years’ experience of building aesthetically pleasing and durable structures for garden centres across the country, Fordingbridge’s sales team will be on hand at the show to give expert advice on bespoke building solutions that will increase the retail footprint of a store, protect from harsh weather, increase footfall and ultimately, drive sales and increase profits. Fordingbridge’s solutions can be implemented no matter how big, small or awkward the space. Each case is assessed on an individual basis and dependent on budget, materials, as well as look and feel, meaning garden centres can be positive that the design will be adapted to suit the needs of their business and that they have made the right commercial decision.